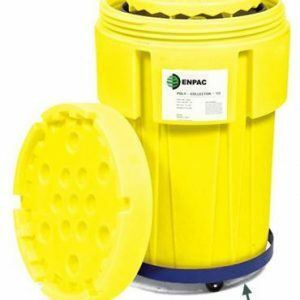 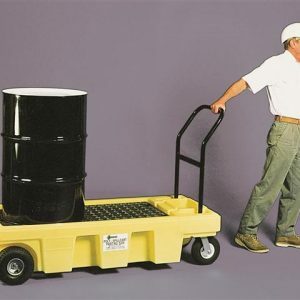 Transporting 55-gallon drums, 5-gallon pails, paint cans and other materials around your plant has never been easier. 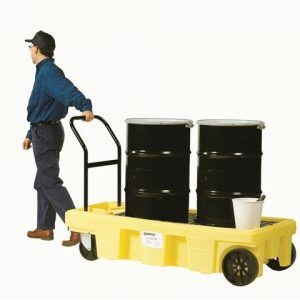 Poly-Spillcart eliminates the risk of spills during transport with its 57-gallon sump capacity. 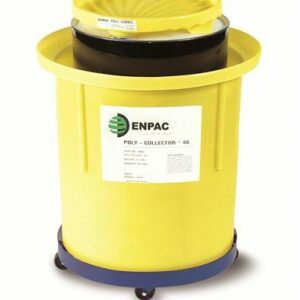 Avoid the danger and hassle associated with hoisting drums full of fuel or chemicals into a horizontal dispensing position. 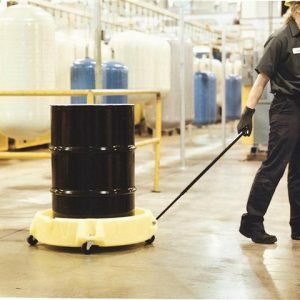 Engineered to achieve the minimum leverage necessary to quickly and safely tilt over a 55 gallon drum. 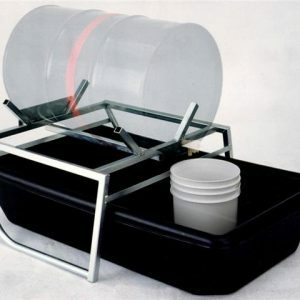 Sump slides freely into position. 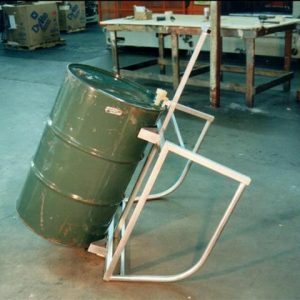 Just roll over and slide sump under. 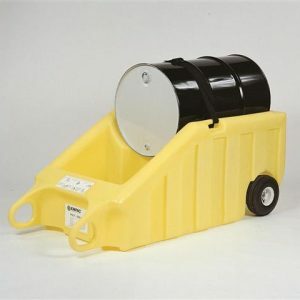 Heavy Duty Drum Cradle No hoist required!